If you’ve updated your Download Monitor plugin and your downloads are no longer displayed correctly (or contain errors), this might be because your custom templates are out of date. 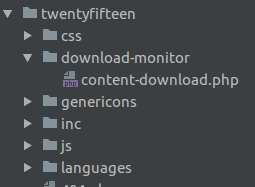 If you have any custom templates, they should be located in a directory called download-monitor in your active theme’s folder. If you can’t find a folder called download-monitor in your active theme folder, you most likely do not have any custom template files. The best approach to upgrading the custom template file depends on how much you’ve changed the template and on how technical you are. If you only changed something small, it’s probably easiest to copy the new template file to your theme and add your changes back in there. This is also the safest way because this way you can’t forget to add important pieces of code that might be missing. You can read how to override a new template file here. If you’ve changed a lot in your custom template file you might not want to start from scratch again. The best way to fix your broken custom template file is to run a diff on your custom template file and the new/original template file located in the plugin’s templates folder. Note that this can be quite difficult and requires you to have coding experience.